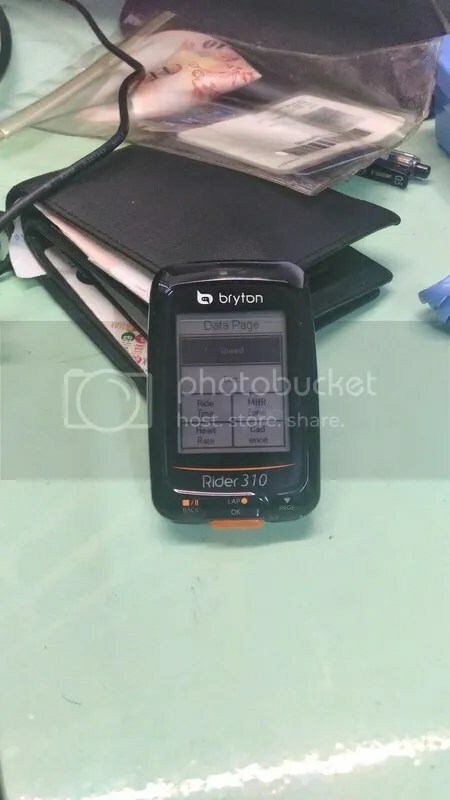 Bryton released the Bryton Rider 310 at the end of 2015 as an replacement for the Rider 30. It offers all the features that the rider 30 has but with the addition of being able to support input from your power meter. Think of it as version of the Garmin Edge 500 but way cheaper. 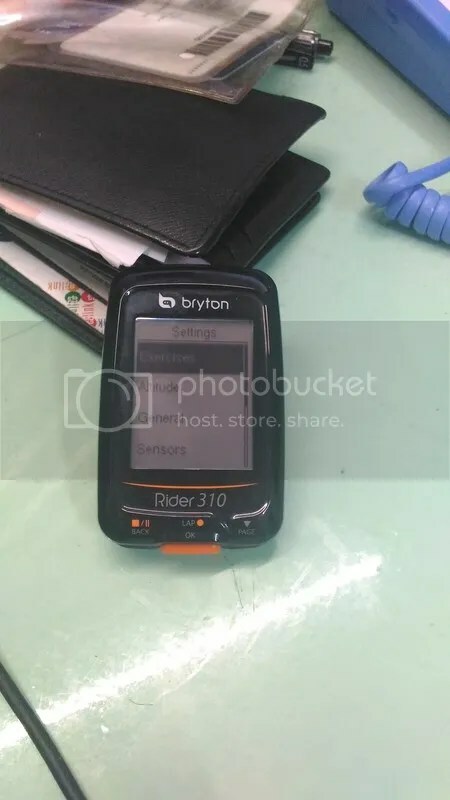 The Rider 310 is available in a variety of packages ranging from just the unit itself to all the way to being offered with speed/cadence sensor and heart rate montior. 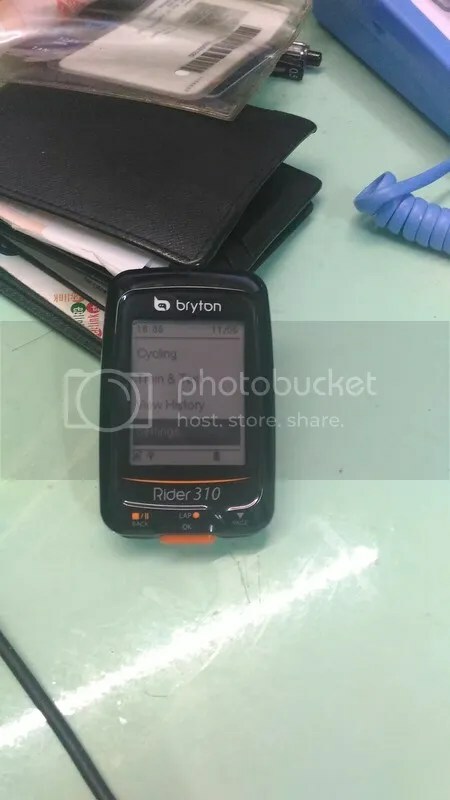 I purchased the Rider 310 as the old Rider 20 had died due to faulty charging ports. 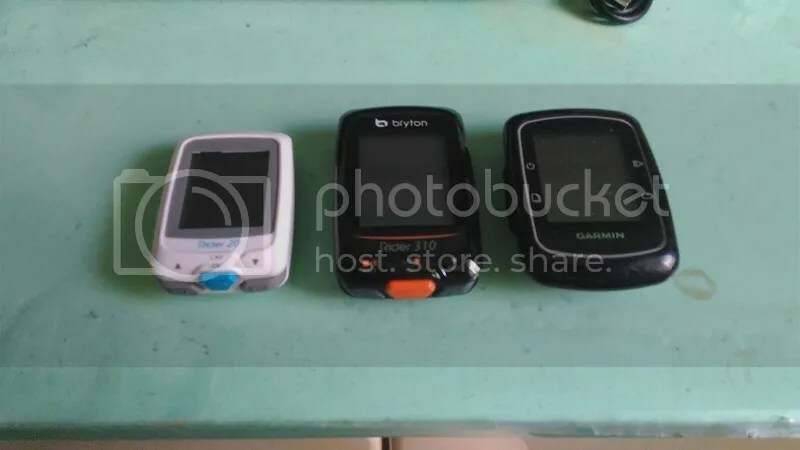 I was unsure as to whether to support Bryton, or to go back to Garmin. 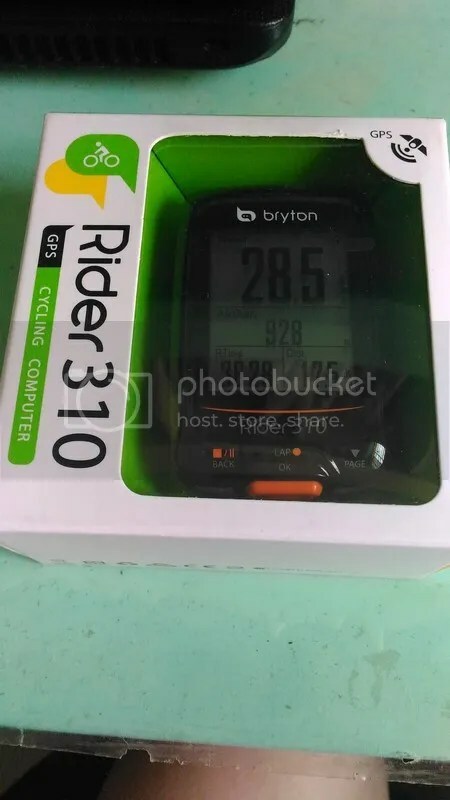 Ultimately, the Rider 310 won me over with its pricing of 79.90 euro(with VAT) on Bike 24 which is even much cheaper than Edge 200 (which does not offer heart rate support). I opted for just the unit(also known as the Rider 310E) itself as I had a speed/cadence sensor as well as the hrm. 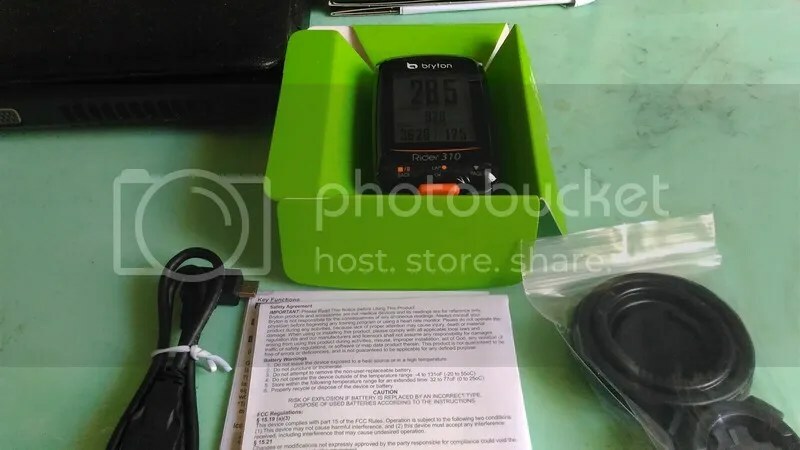 Upon receiving the package, the box and accessories provided is the same as from the previous bryton Rider 20. 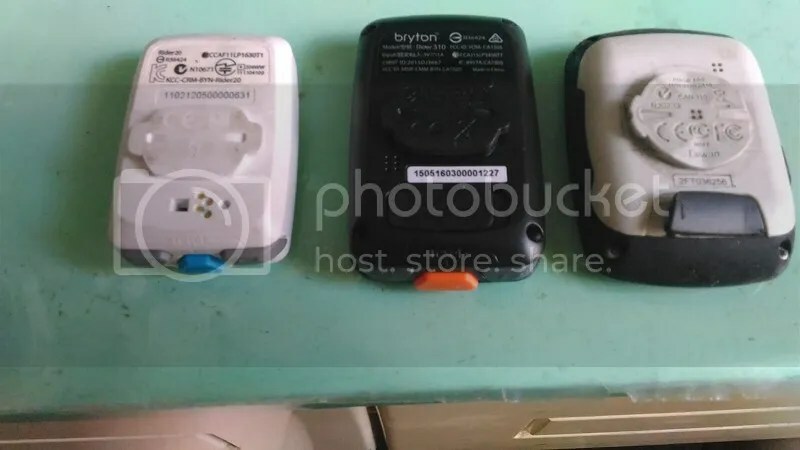 In comparsion to the other GPS unit that I have, the Rider 310, is in the middle. One added improvement that I like about the Rider 310 is the rubber rain cover for the micro usb port. 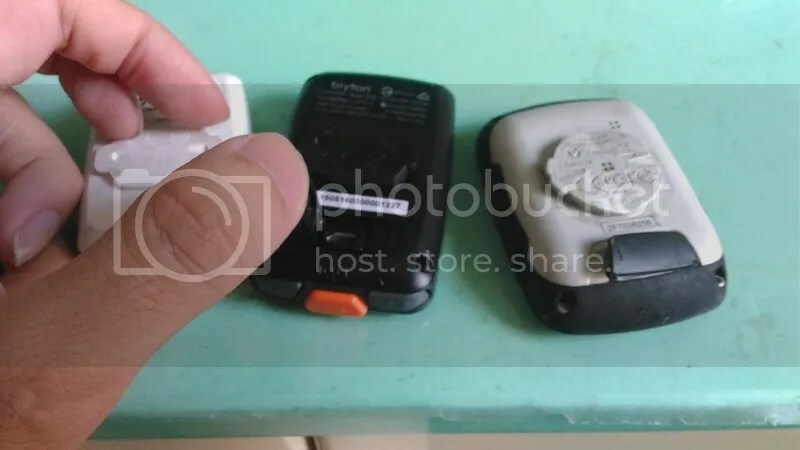 As stated previously on my Rider 20 review, one thing that I didnt like about the Rider 20 is the charging/data transfer port where the ports would be prone to dust and damage from being exposed. Here, Bryton has went back to a tried and tested proven design of using a usb port and a rubber rain cover. 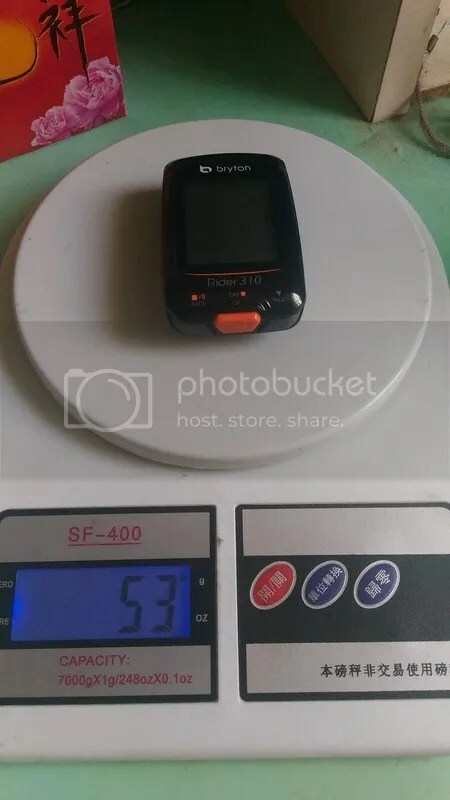 The Rider 310 that I had weighs in at 53g slightly lighter than the claimed weight of 56 grams. I wont be going through all the functions of the cycle computer as there are way too. There is the usual, sensor detection and bike profiling for the sensor. One of the more interesting functions being available here (and I am rather amazed given the price point) is the fact that you’re able to customize what data page you need to display while cycling. There is a maximum of 8 data fields to be displayed on the screen at one go, with a maximum of 5 data pages, giving you a maximum of 40 different types of data to be seen while riding. 8 in my opinion is too much as the screen of the Rider 310 is relatively small compared to other computers that provide this functions. This is useful, as different forms of riding may require different types of data to be displayed. The Rider 310 is at such an attractive price,and it is jam packed with features. 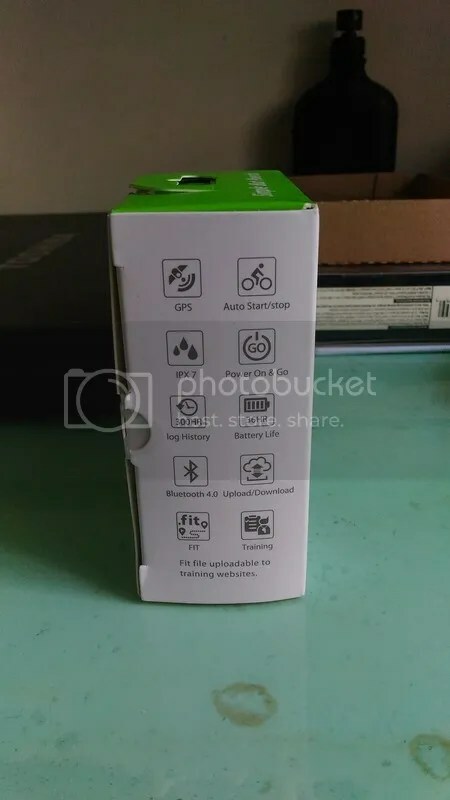 As at the time of this writing, it is probably the cheapest GPS cycle computer in the market that supports power meter functions (although I do not own a power meter to test it out). 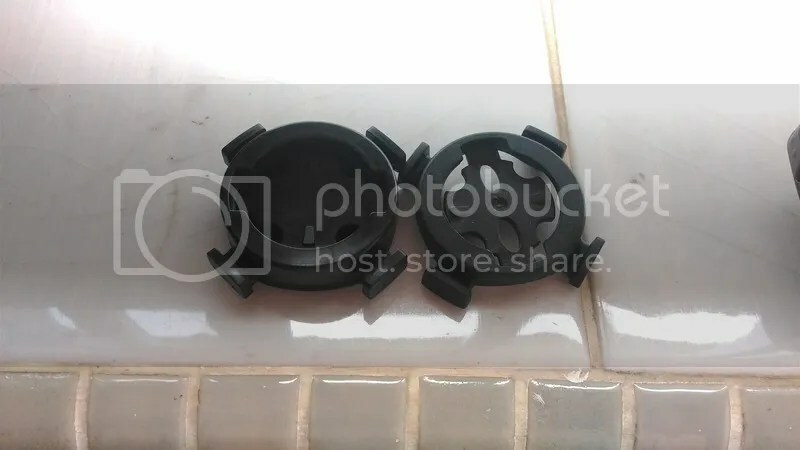 The author was not sponsored nor paid by Bryton or Bike 24 and any other companies mentioned in this post.The product in this review was paid for using the author’s own money and was not returned after the review. Every point made in this post has been the writer’s opinion. 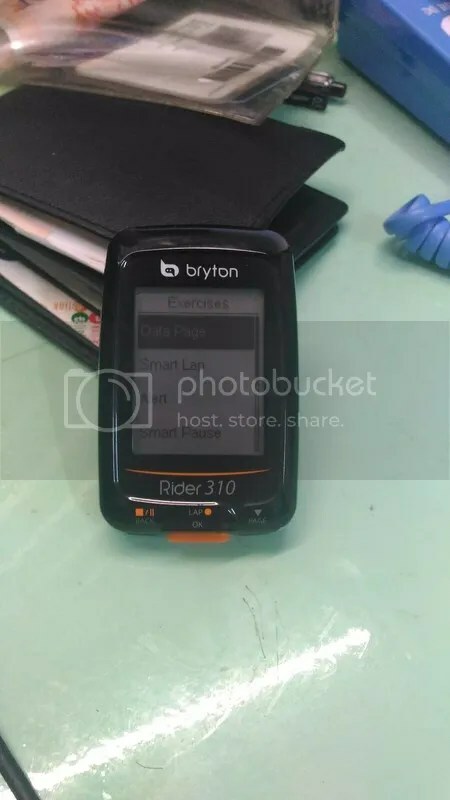 This entry was posted in Bryton, Uncategorized and tagged Bryton Rider 310, cycle computer. Bookmark the permalink. 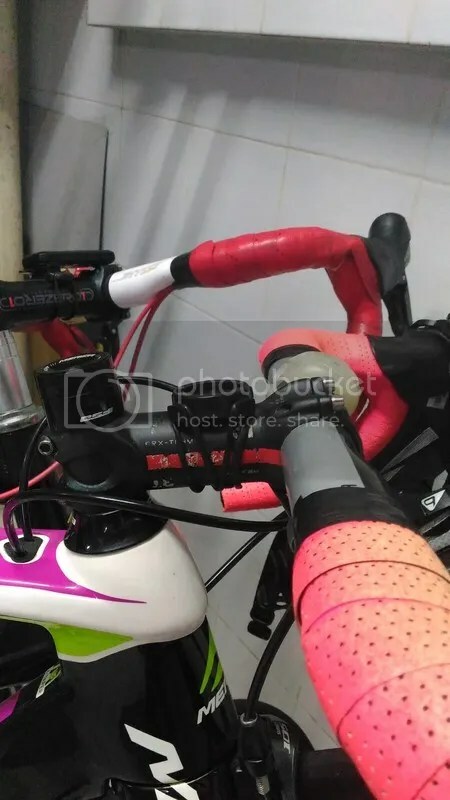 I stumbled your blog for looking for a road bike rental in Singapore. I am looking one for my 15 years old who intend to compete in a road race this Sunday. Let me know if you know if any place I could get a decent road bike (in good competing condition). Otherwise, I have bookmarked your blog as it’s very informative and would encourage my son to read more as he’s very interested in cycling. Thanks.